For me, happiness is when I knew that I get things done. I am happy when I finished a reading a book. I am happy when I had a productive day at work. I am happy when I know that I accomplished something that could be a value to my goals in life. I’ll be honest though that I still have days when I am unproductive. I will be too lazy to do anything even if it is very important. The result is I cram all the time to meet the deadline. I will also have substandard output since I can’t give my 100% in what I do. I know that I need to stop this attitude and really start living my daily life more intentional. 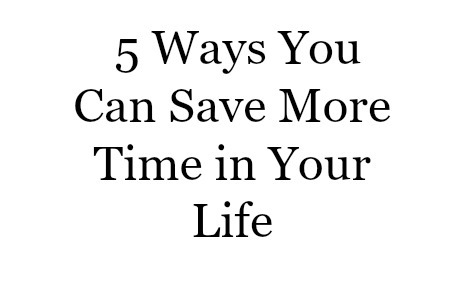 So today I have put together some of the proven tips that have helped me save time effectively. I have never felt more encouraged to go to the office and finish all the projects and tasks that I have to get done ever since I found out that success relies A LOT as to how one manage his/her time. You may back read my old series called 14 Days to a Productive Living if you want a more detailed material on productivity. This is probably the biggest change in how I manage my time. I learned that batching same tasks together and doing them on a certain time of the day can save me tons of minutes. For example I try to accomplish my Most Important Tasks between 9am to 11am in the office. I also try to write all my blog posts every Saturday evening till Sunday morning and just snooze for the rest of the weekend. Since I have a batch of to-do’s I get started promptly on the jobs that I like. Do this: Create a list of things that you need to get done and color-code those that fall on the same categories. Then choose to act on it. I put a lot of pressure to myself sometimes. If you remember my post, I Want to Meet Mr. Clarity, I struggle to keep balance my job, my passion and my hobbies. But it is the attitude of high expectations that can really kill the creativity in you. In life, it is important to have just the right balance of everything. If ever I forget to do something important, I let go and just promise not to repeat the same mistake. Do this: Contemplate on your attitude towards work. Are you putting too much weight on your shoulders? Are there tasks that you can delegate to others? Are you becoming too busy that you forget to have a life? We all have this time of the day when we feel energized and motivated to work. Don’t let this time pass by without doing your high priority items. There are those who feel like working better during the day while others prefer at night. Choose the best time and the best days of the week that you’ll work on your special project. Do this: Determine what your peak hour truly is and schedule your most important tasks on that time of the day. Don’t forget to reward yourself whenever you get things done. Do the Idea Dump as it works very well in making you more productive. I literally jot down everything that I need to do in a paper and it instead of making me sad that I have so much items to achieve, I feel moved to take action. If you don’t write it down then you’ll most likely to forget that important item. Do this: Reserve a special paper that you could bring anywhere you go and start making it a habit to write down whatever that comes in your mind. Procrastination is the biggest enemy of my life and its hard not to procrastinate when there are so many distractions available today. Avoid delays by becoming very focused in your tasks. Do this: Have a Planner and/or Organizer. Have one powerful notebook bring back sanity your busy schedule. Easily plan your future tasks, include your to do’s and just jot down everything that you need to be reminded off. A planner is best used to organize your thoughts and you can have an old notebook for this. Try to also use a Monthly Calendar and keep track of special events, meetings, birthday celebrations and other appointments with a calendar. You can also include days. Read More about Planners HERE. Living a highly intentional life is a living a happy life. You save time and in return spend more time on what matters most. You don’t have to continue living a cluttered life because there are easy and effective ways that can help you have a work-life balance. The Daily Idea Dump: A Secret Productivity Booster – New!